Hello people! 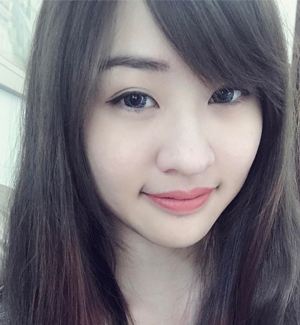 Sorry for MIA for quite some times. Been busy with some important projects in work and honestly, I dedicated more times and efforts on them till I do not have the strength to blog (Chey... Excuse lah kay...) At the same time, I was playing a new MMO game, so I apologize for missing myself in the blogosphere. 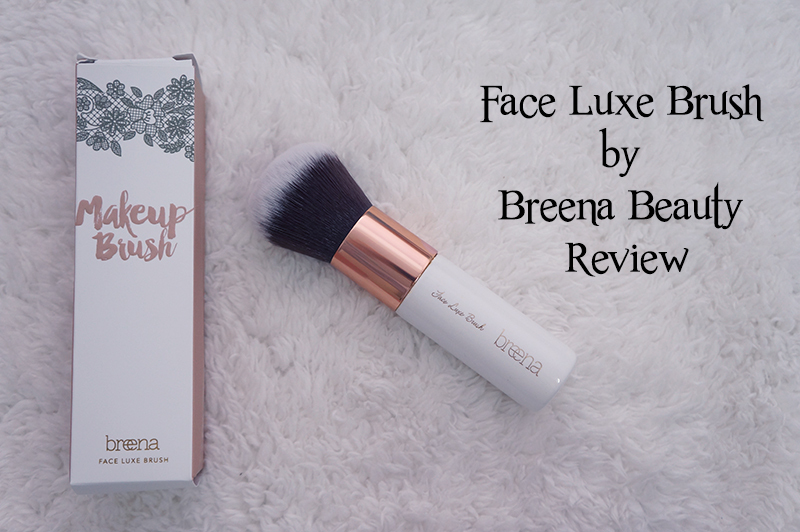 I've received this awesome brush from Breena Beauty and I would like to congratulate Sabrina for starting up this new business and introduced a Muslim friendly and cruelty free beauty brush. Let's take a look at this gorgeous brush. The rose gold metal ferrule is a high quality cap to connect the bristles and handle. The bristles has white tips and they are in dark brown for the lower part. The bristles formed a rounded dome shape and it is so gentle towards the skin~ It doesn't have a scratchy feeling and the soft bristles will not cause itchiness to the sensitive skin too. Look at this gorgeous handle~ It is made out of wood and painted in white. It's not a heavy brush but I do feel comfortable with the weight. I love how the gold Breena logo engraved on the handle. It looks elegant and the logo wouldn't fade in long run. The handle can be cleansed easily due to its quality paint on it. 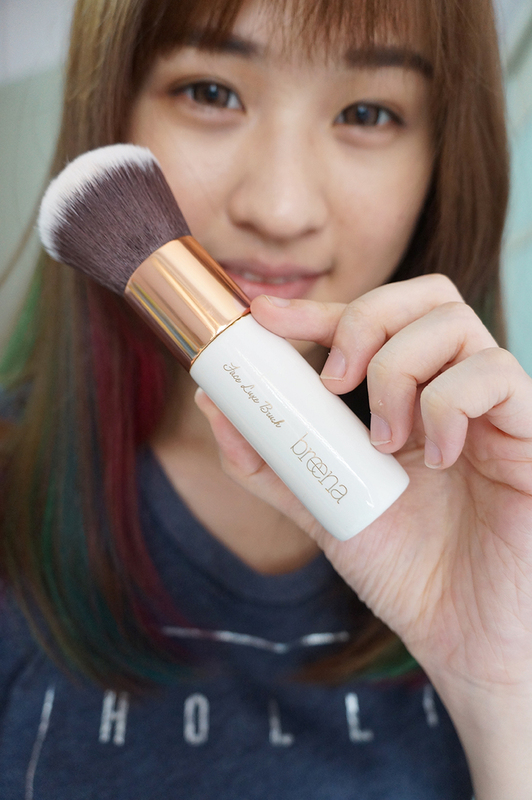 You might wonder how do I put on the blush powder using this brush eh? Well, just dap a little on the blush and pat off the excess, gently swipe across your cheek and wala! You look healthier with some colors on your face. 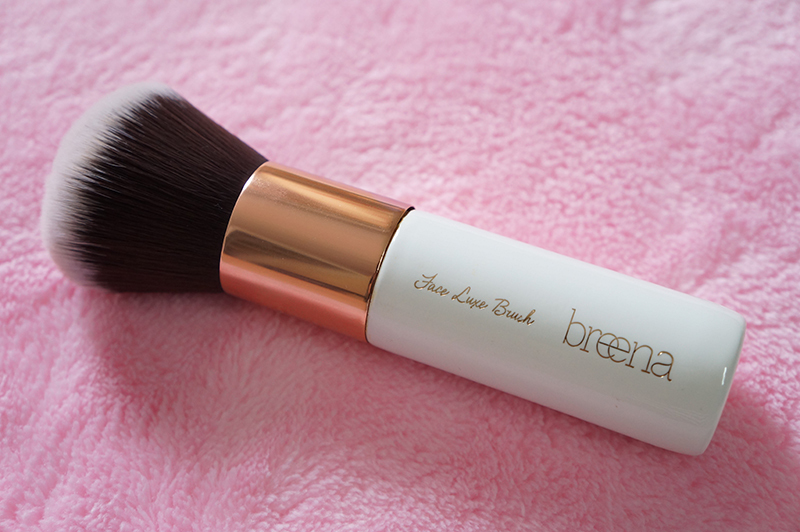 Unlike powder sponge, this brush is able to pick up the right amount of powder and distribute evenly onto the skin without making your skin looks cakey. With its soft airbrush finish to the skin, this is best used in buffing and padding motion to the face. I love this fluffy and multi-purpose brush. 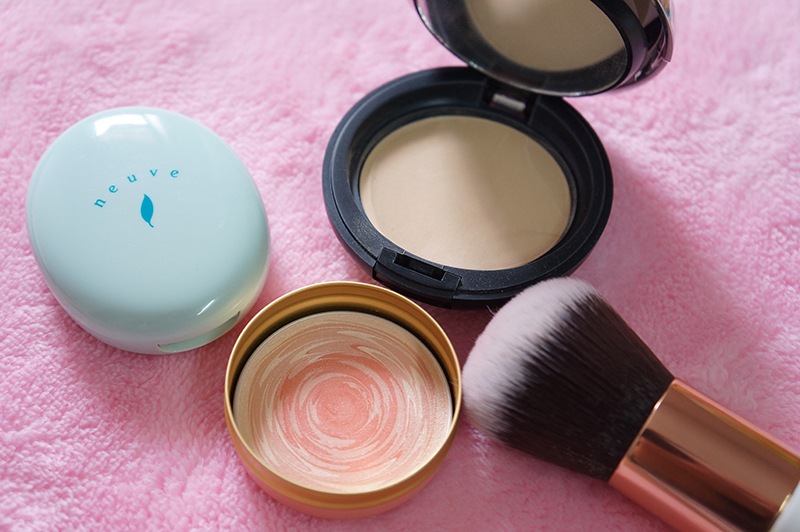 The powder can distribute evenly on the face and it does not have the scratchy feeling when I use "stamping" motion on my skin. I love the gorgeous design and it is also great to know the bristles are non animal hair too! The synthetic bristles are super soft on the face too! If you are looking for a professional brush and yet do not want to spend much on those branded brushes, you can get this Face Luxe Brush because you can do lots of thing with this brush.